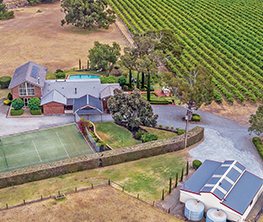 In this week’s review of South Australia’s most premium real estate, take a look inside a wine industry insider’s high-tech luxury home, and two significant properties in highly sought-after locations hit the market. 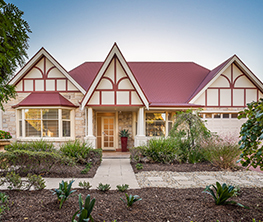 Leigh Morgan, co-founder and co-owner of beverage brands such as Vinomofo and Mismatch Brewing company, is selling his spectacular Payneham South home boasting automated, state-of-the-art living. Of course, a standout feature is the temperature-controlled wine cellar which holds up to 700 bottles and is complete with pin-coded, electric sliding door. The home was built in 2010 and Leigh undertook an extensive renovation in 2017 with the main aim of increasing the size of the kitchen and entertaining areas. “I love to cook and entertain so my first move was to make the kitchen bigger,” Leigh says. The kitchen, by Bathrooms and Kitchens by Urban, took out the Renovated Kitchen over $45,001 Award in the 2017 HIA-CSR SA Housing and Kitchen & Bathroom Awards. Features include an Ilve seven-burner commercial oven, a Qasair commercial rangehood and a built-in Liebherr triple- door fridge. The living area is also big enough to accommodate Leigh’s 22-seater dining table. This is a high-tech home that’s all about fun, entertainment and ease of living. Features include a Heos VAF in-roof music system in every room, a cinema room with 400cm drop-down cinema screen and a Smart house system controlled by iPhone and iPad. There’s also a built-in gym, saltwater pool and spa in the updated outdoor entertaining area. There are three large bedrooms, with the master suite featuring a walk-in robe and luxurious en suite. While it’s all tailormade to Leigh’s taste and interests, he says times have changed since he bought the house in April 2015. “I got married last year and I thought it would be nice to start off married life choosing a house together,” he says. Leigh and Hayley, an occupational therapist, are currently looking for a house between Parkside and Stirling to make it easier for the drive to Mismatch Brewery in Nairne. 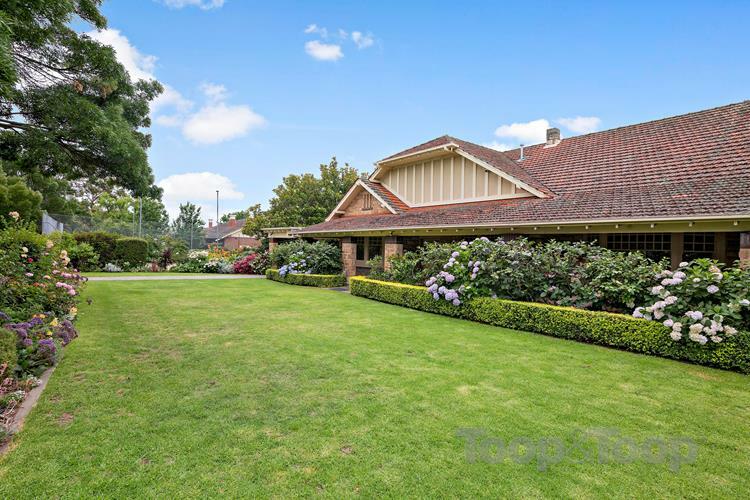 The Payneham South house is being sold through Fox Real Estate agents Henry Gower Tillett and Georgie Todd and offers close at 12 noon April 10. CLICK HERE TO SEE MORE IMAGES OF LEIGH AND HAYLEY’S HOME. 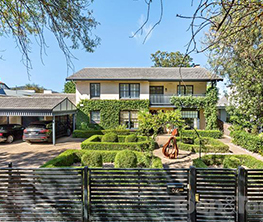 A huge family home in Heathpool set on 2445 square metres with a 52-metre frontage is on the market for the first time in 50 years. The gentleman’s bungalow, which was built in 1926, consists of two titles – one is a corner block with a house and swimming pool while the other boasts a tennis court with orchard. The house was originally built as a wedding present to the previous owners, the Maidens, who lived there for half a century. Since then, 11 Stannington Ave has been a hub for socialising, tennis and family time for Marlene and Brian Leach, who bought the property in 1969 and upgraded it to include a “granny flat”, pool and kitchen/dining area. Marlene was great friends with local chef Margaret Kirkwood and shared a passion for food, always keeping the fridge and pantry full to entertain the multitudes of guests who visited the home. Marlene and Brian’s son Jonathan, a dentist, has great memories of tennis parties and family occasions there. Another group of local sports lovers who called themselves The Gravel Pit used to come and play tennis at the grand home. “Dad would come and sit by the court, share a drink and chat to them all,” Jonathan says. While it’s difficult to leave behind so many great memories, Jonathan says his parents are now ready for a change. The home features four to five bedrooms, three bathrooms, formal dining and lounge rooms, cellar, enclosed porch room, double garage and extensive garden. “But Dad’s pride and joy is the north-facing kitchen-dining area that is glassed in on three sides overlooking the fishpond/covered garden to the west, the pool to the north and captures the morning sun from the east whilst he reads the paper,” Jonathan says. He says Brian is well known for his camellias and roses and he rarely leaves the house without handfuls of blooms on his way to appointments in the local area. He would often invite friends and acquaintances to take flowers for weddings and help them pick vast numbers of blooms to pack into their car. 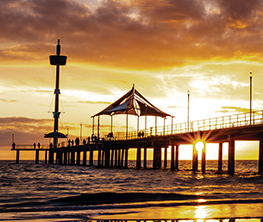 “It’s sad to say goodbye to so many years and great memories, but I’ve only moved a few hundred metres down the road so I can still drive past the place,” says Jonathan. 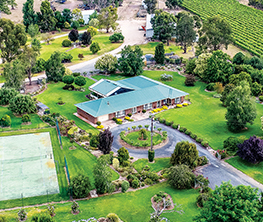 The home is being sold through Toop & Toop agents Tim and Megan Thredgold and expressions of interest close on April 4 at 5pm. 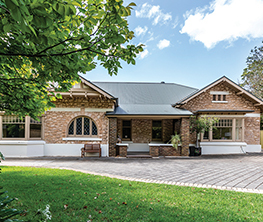 An historic Kensington Park home brimming with rich South Australian stories of the past will be auctioned in April. The property at 29 May Terrace was built in 1880 for a French jeweller named Louis Suhard. Current owner Chris Shakes, a now-retired senior public servant, says Suhard was very involved in the origins of Australian Rules football and designed the first Magarey Medal. “Sulhard and his family owned the home for a century before it was sold to another family in the 1980s,” says Chris, who owns the home with wife Robyn. That architect friend was Michael Pilkington from Phillips/Pilkington Architects and the home was beautifully restored in 2005. The open-plan living at the rear includes cathedral ceilings, parquetry floor and large windows allowing for natural light. 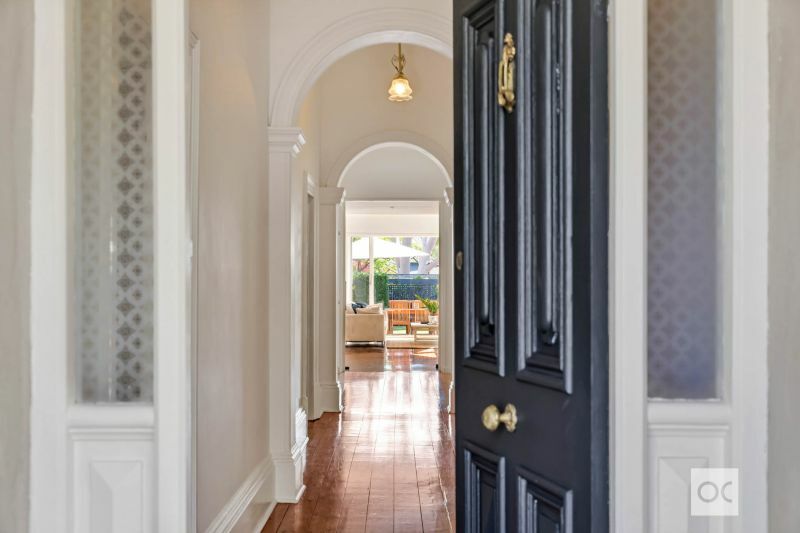 Original highlights of the four-bedroom home include the arched, etched glass around the front door, marble fireplaces and polished floorboards. The front cottage garden is another standout feature designed by Viesturs Cielens with rose arbour lavender and rosemary hedging. 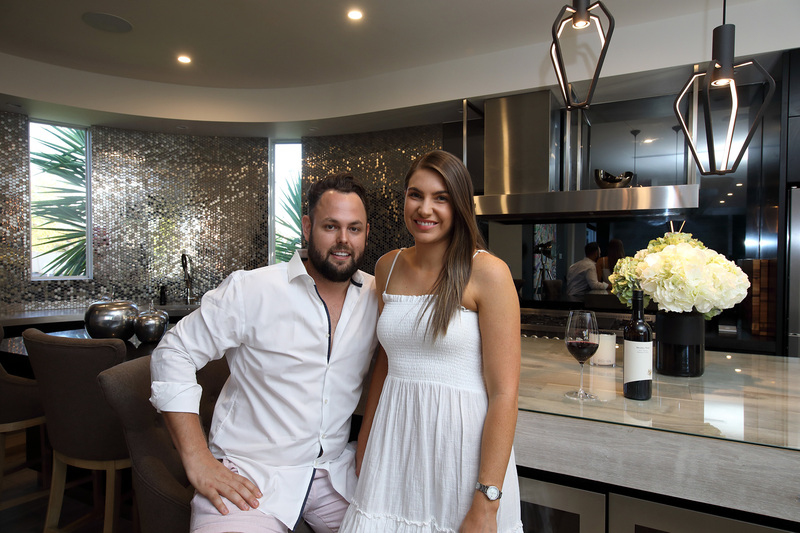 Chris and Robyn, who is a managing director of cochlear implant company ME-DEL, had no intention of selling this gorgeous home but they received an offer too good to refuse. “We love this house but another opportunity has come up out of the blue so we have decided to sell,” Chris says. “Robyn and I love restoring older homes and this opportunity really appealed to us. The home is being handled by Ouwens Casserly agents Angela and Michael Stentiford and will be auctioned on April 6 at 10.30am.